A web API is a point of interaction or a service touchpoint in other words. It means that it’s audience is part humans, part machines. That’s why it is so important to build an API around the demands of its consumers and ensure smooth and intuitive user experience. Who will select and authenticate accounts to the endpoint: an end-user or an administrator? It will affect your decision where to place the user interface to select endpoints that user will connect with your app. If it is an end user, there will be a need to make a setup for each interaction, so it is better to locate selection in a visible place. In case an administrator selects and authenticate accounts to the endpoint, this process will be a one-time activity, so there is no need to include authentication settings in the direct flow of the application. Outline a simple selection and authentication process to choose the most appropriate place for it within your app. Decide whether this is a one-time action or will there be a need to remember user accounts, and refresh the key so that users won’t have to reauthenticate each time. Choose the best option for your app: think whether it will be a pop-up window, full-window, or redirect. In case the administrator selects and authenticates the endpoints only once, this action doesn’t necessarily need to be a part of the application flow, but it can be displayed in an integrations page or settings in two ways: internal or external to your App. In the first case, you add “Integrations” page to the settings within your app. This approach is best for one-time interaction. In the second case, you add “Connections” or “Integration” section to the website, where users can authenticate to your app and connect to the desired endpoint right away. 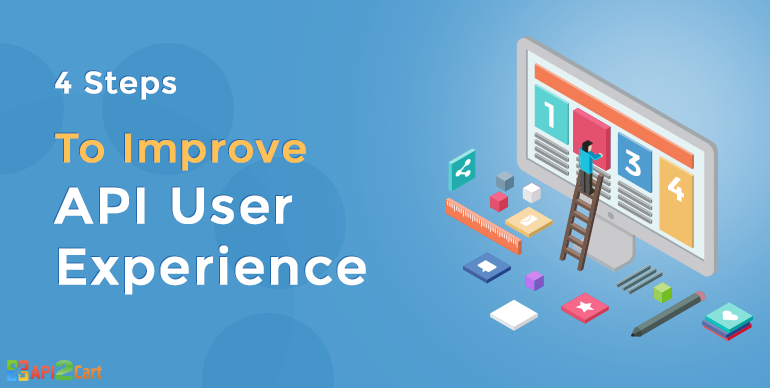 It is not a perfect user experience, but it reduces the time to market as it relieves from adding any changes to the app. Which kinds of services do you want to see connected to this app? What are your most frequently used end-points? How valuable are these connections for your experience? And finally, give your users an easy way to provide feedback. Reach out to them and open a channel for feedback, so that you can define and fix issues right away. If you have any questions concerning the work of API2Cart and how it can be useful for a developer, do not hesitate to schedule a consultation with our representative or by trying it out.